A ballast is commonly used in fluorescent lighting to regulate the current of a lamp and the voltage to start one. The use of electronic light ballasts initially rose in usage during the early to mid 1990s. Since that time, these fixtures have continued to gain a market share that grew bigger compared to metal light ballasts. Their efficiency served as the driving force behind this shift. The older magnetic or metal ballast was found to bring about higher energy loss levels, which made it less energy efficient. Electronic light ballasts have two advantages. First, it offers a jumpstart of current to get the light bulb going. Second this jump means it requires less energy to use. A unique trait of electronic light ballasts is the use of high frequency inverter, allowing a simple switch of power supplies. In general, this kind of ballast is said to have higher initial cost for construction than other, but, these promise long term savings thanks to their enhanced energy efficiency. 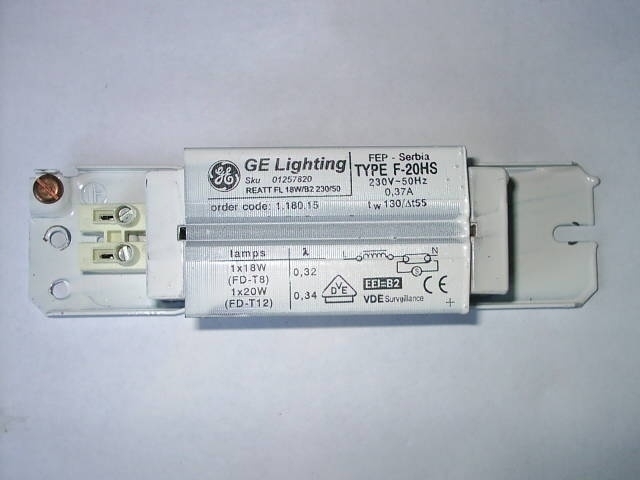 Right now, there are three fundamental operation methods for electronic light ballasts. These are rapid starting, preheating and instant starting. With rapid start operation, electrodes are going to heat before as well as during the initial release of energy. The ballasts also come with secondary wirings for ensuring that the voltage stays at the required voltage. For the preheating operation, the ballast is going to heat up the electrodes quickly before releasing the energy required for the light to turn on. Ballasts for instant lamps offer a relatively high starting voltage to promote an energy release on all unheated electrodes. It used to be believed that electronic light ballasts would quickly replace the magnetic ballasts yet this was not the case. There were several changes made to the magnetic ballasts to make them more competitive. For instance, copper was used to replace the traditional aluminum. The lighting industry continually evolves and for this is reason, neither the magnetic ballast nor the electronic light ballasts have been able to fully dominate the ballast marketplace. It is very safe bet that there are going to be more interesting breakthroughs in this type of lighting fixture in the future. As of now, the three areas of focus for change include ease of use, initial production and energy efficiency. These are the focal points of research and development. Consult with your electrician to determine your needs. No matter what happens down the road, the lighting ballasts will surely continue to be a major contributor to the commercial lighting workforce.